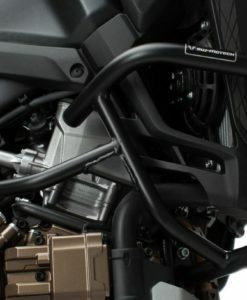 The engine guard extension mounted to SW-MOTECH’s center-stand provides complete rear linkage protection while riding. 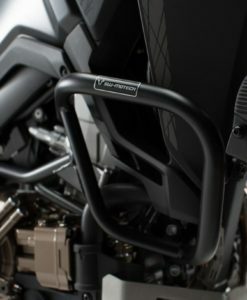 The engine guard extension mounted to SW-MOTECH’s center stand provides complete rear linkage protection while riding. 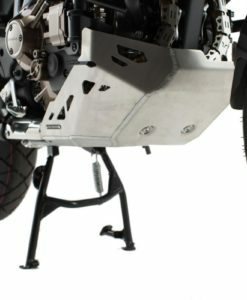 Additional bottom protection against stone-chipping and collision. 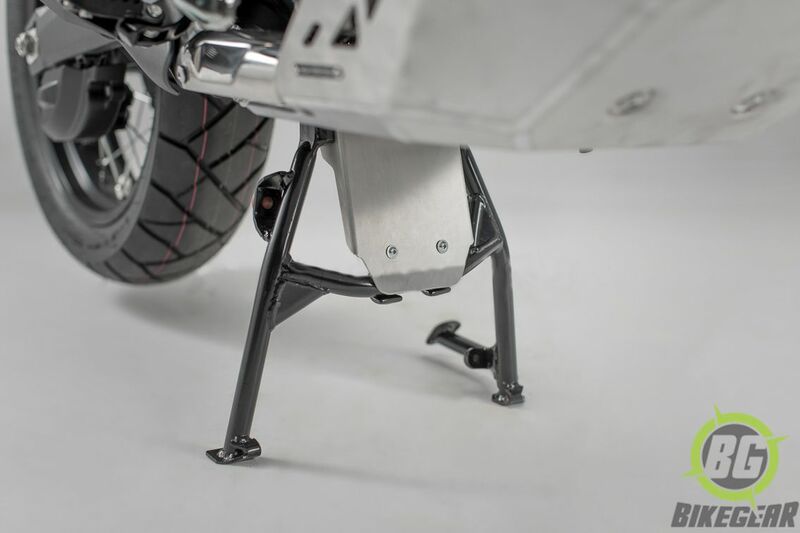 Designed exclusively to be mounted to SW-MOTECH’s center-stand. Simple mounting with two screws and two nylon covered clamps to existing mounting points of SW-MOTECH’s center-stand. 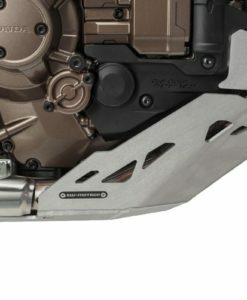 Material: 3 mm highly durable aluminum alloy. 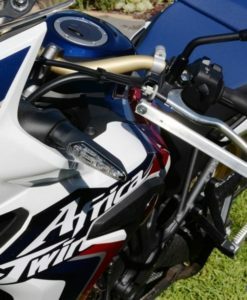 Protect your levers and hands from impact with Bark-busters VPS lever and wind protection hand-guards.Price is for a pair. 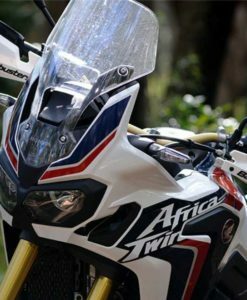 The SW-MOTECH Engine Guard for the Honda Africa Twin CRF1000L is designed to protect the heart of the Honda Africa Twin from stones, logs and other damaging debris.